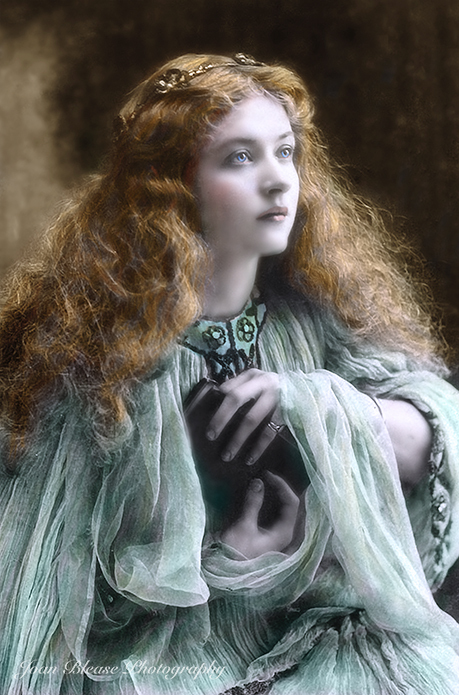 A quiet few minutes doing some more colourising of old photos before a very busy weekend. I don’t know about you but I think this lady is so beautiful and there is so much emotion in her face. The model is “looking out of the frame” a no no for some people today but, as far as I am concerned, I think the photographer who captured this lady’s beauty, got the feeling and emotion spot on -even if she wasn’t looking at the camera ! This entry was posted in Blog, Digital Painting, Photoshop, Portraits, textures and tagged beauty, creative images, Digital Art, Digital Artist, Digital Painting, digital portrait, Fine Art Photography, Photographic manipulations, photoshop manipulations, portrait. Bookmark the permalink.